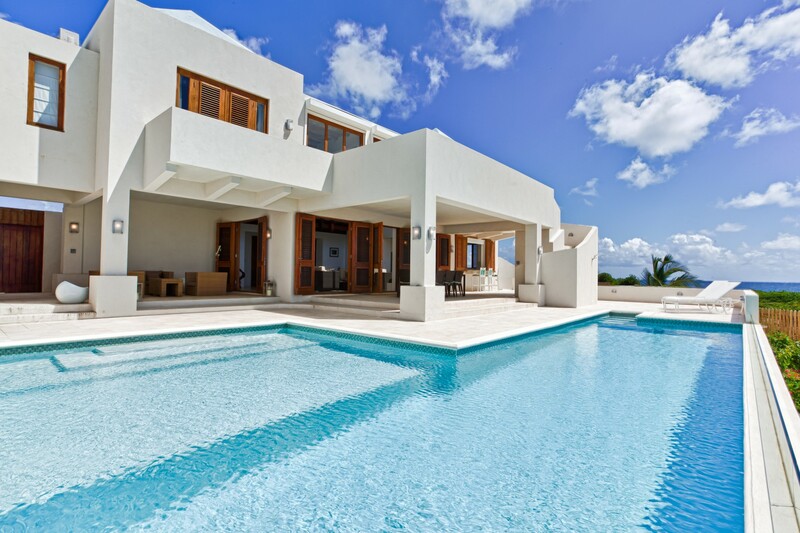 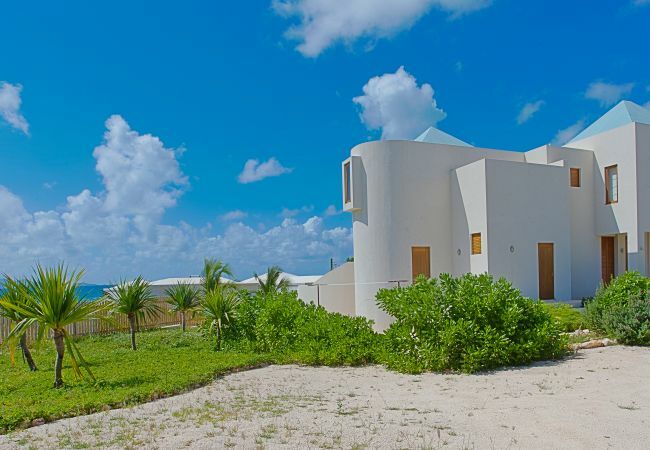 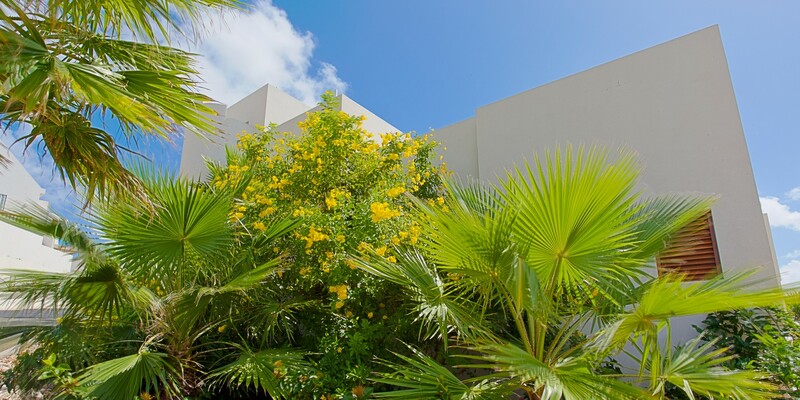 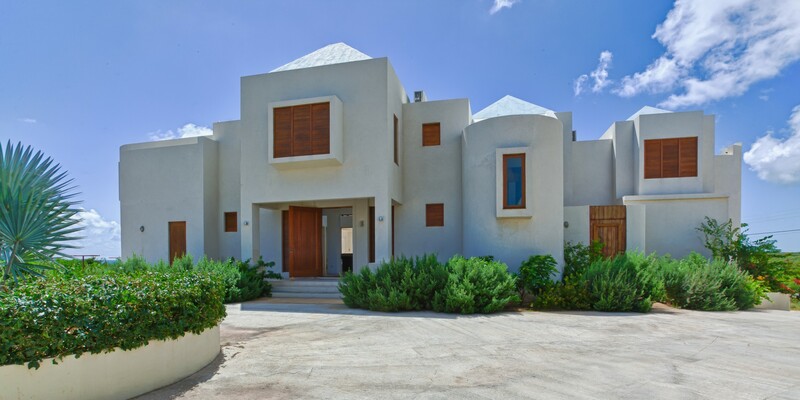 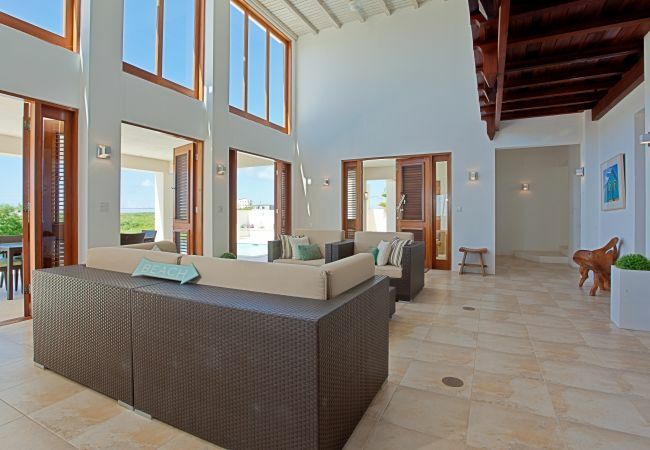 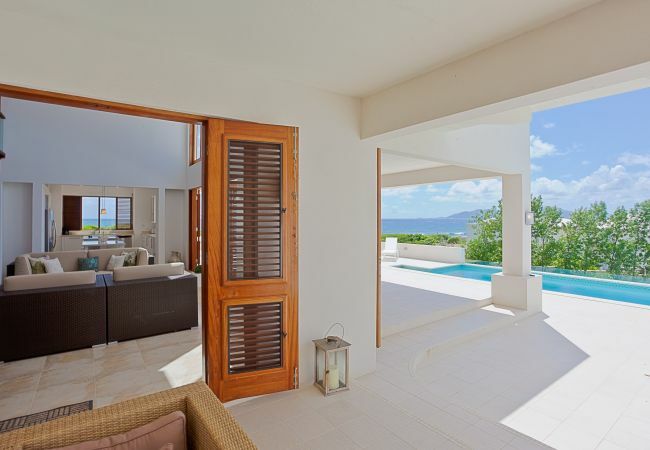 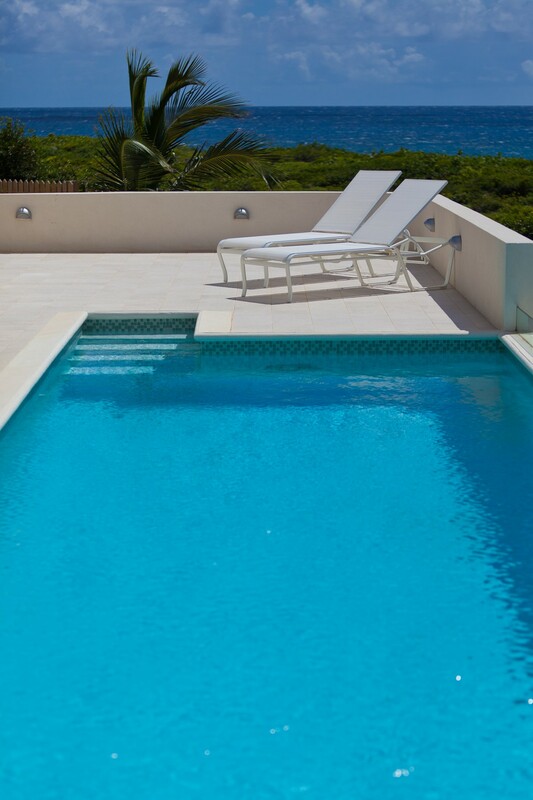 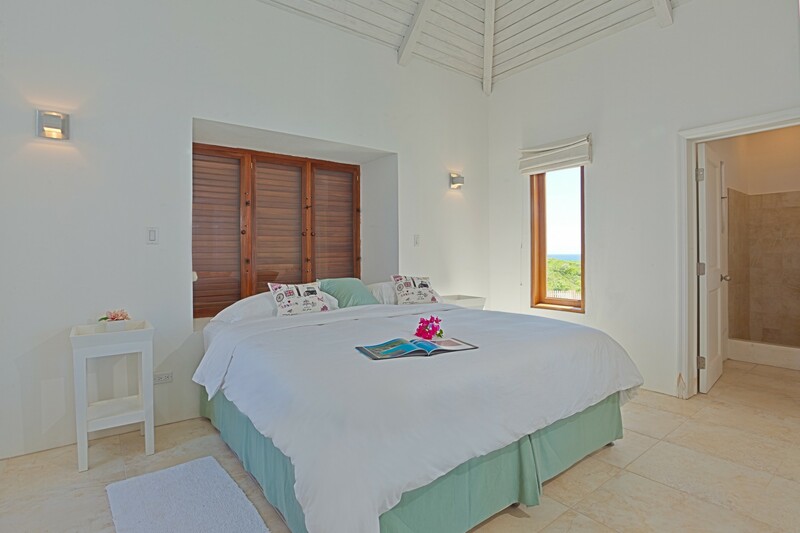 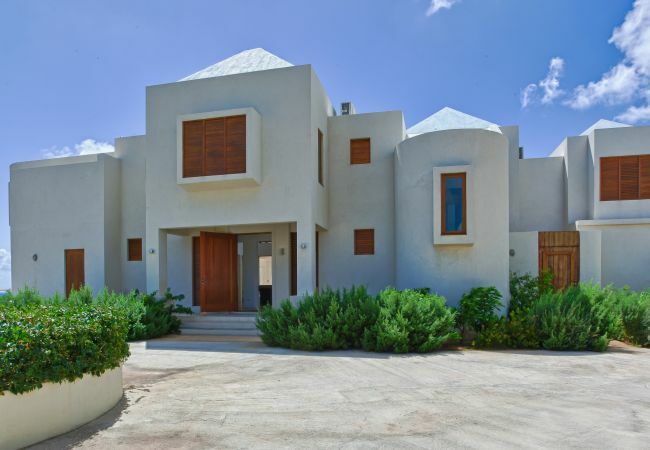 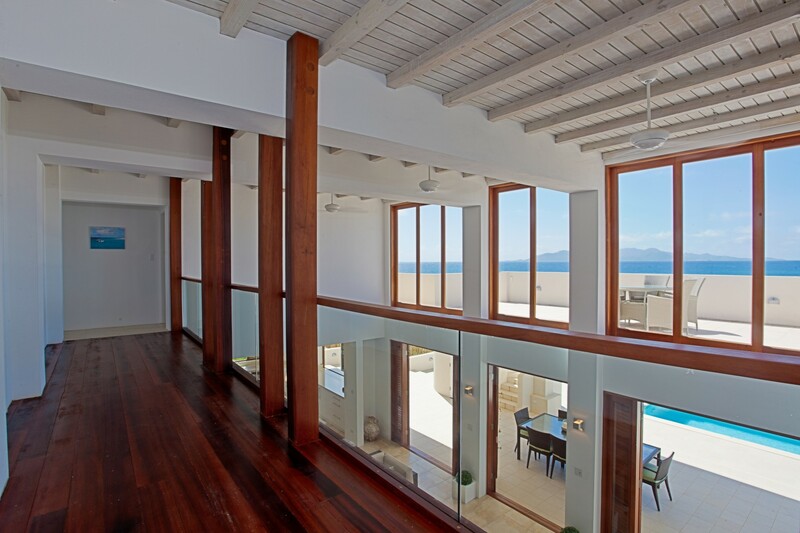 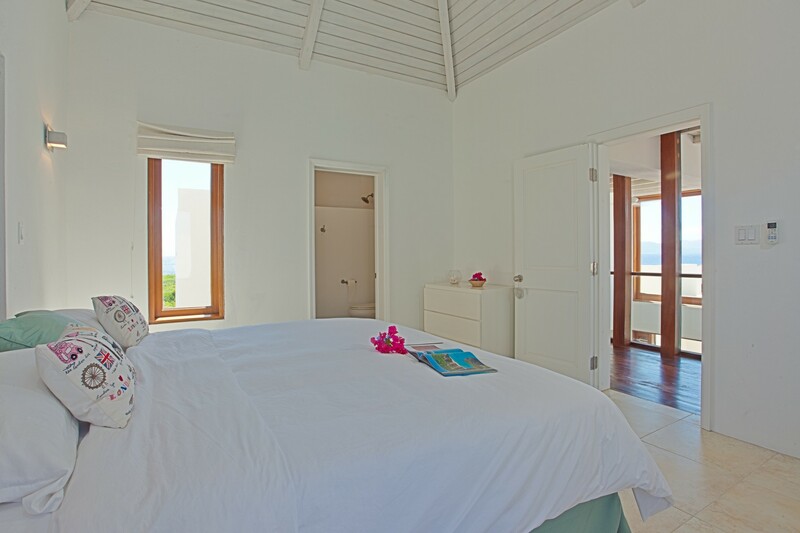 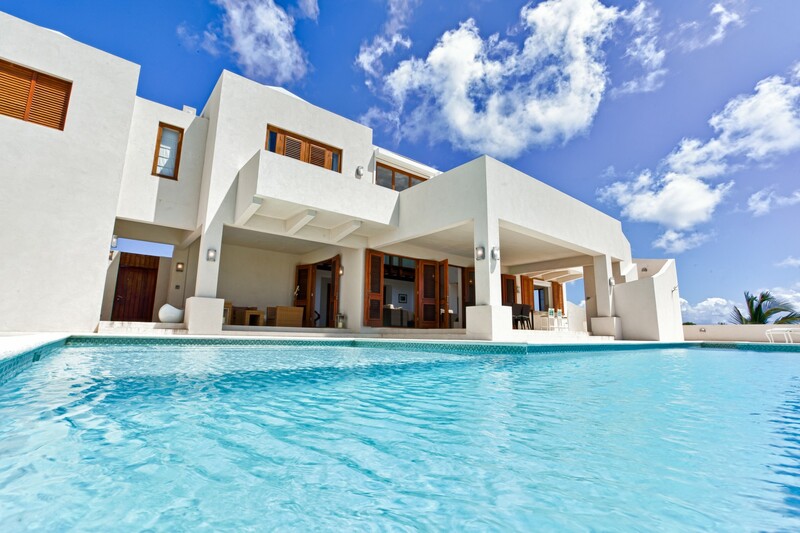 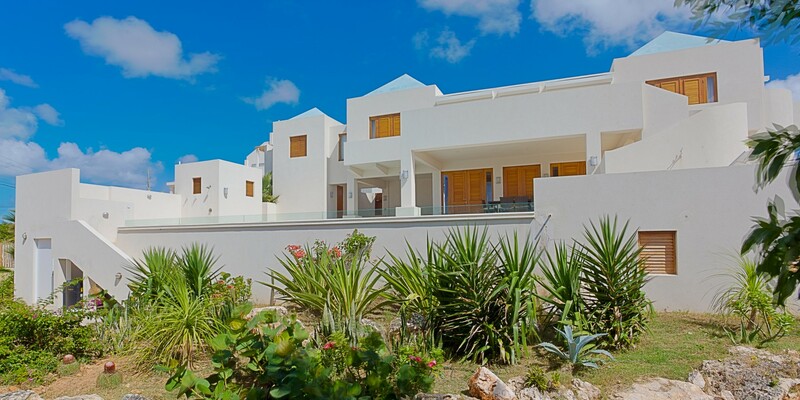 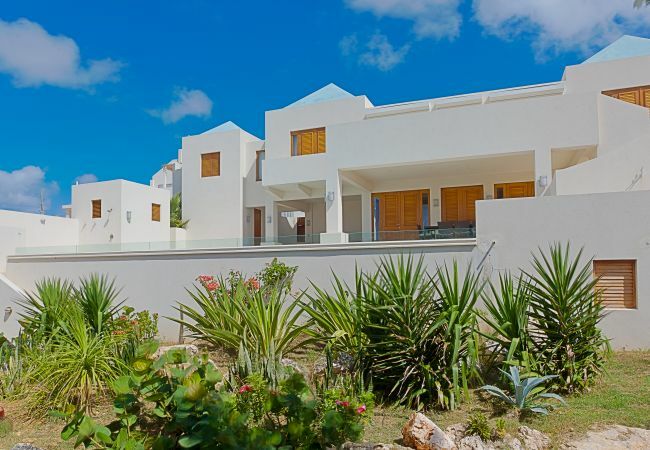 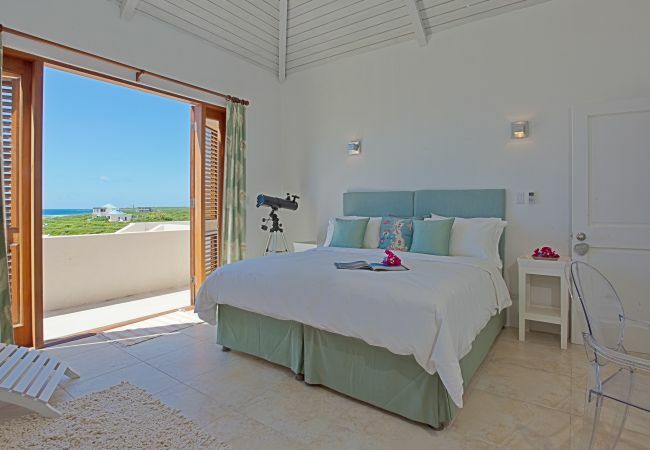 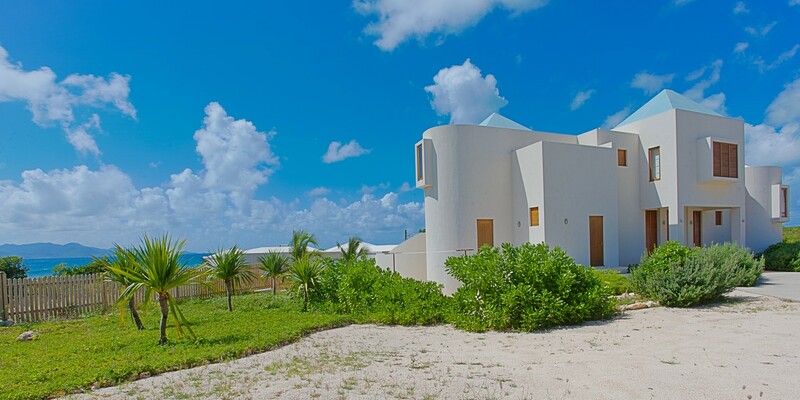 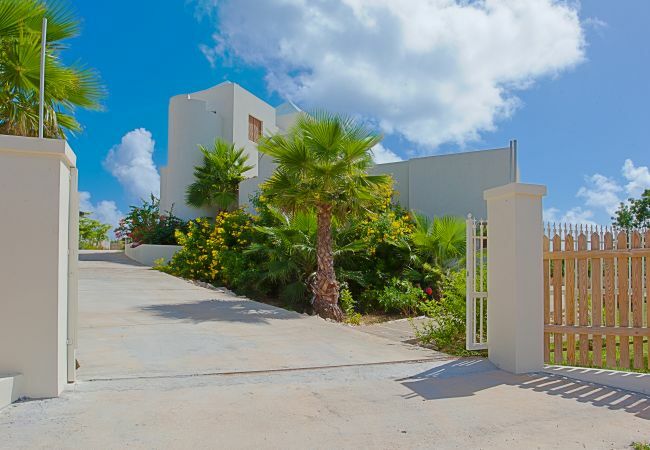 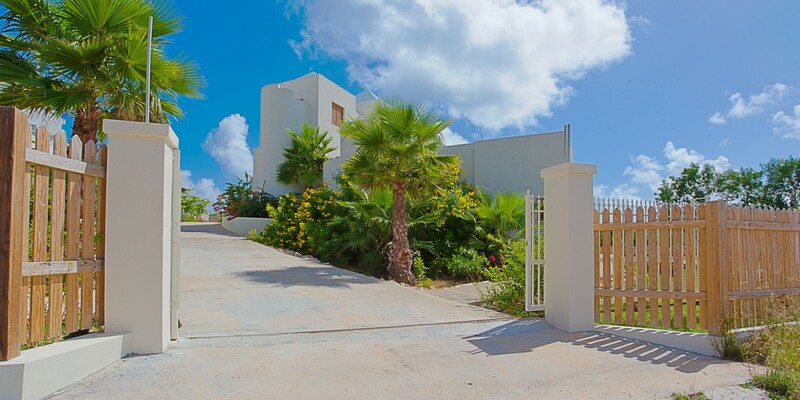 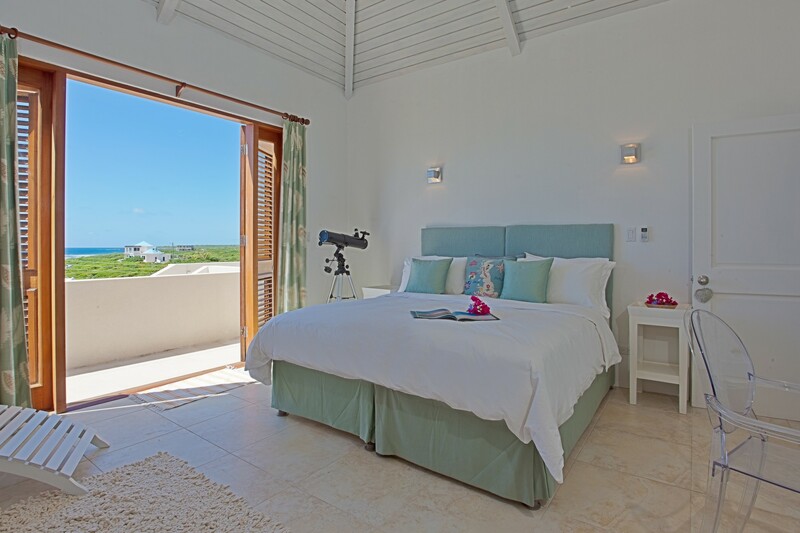 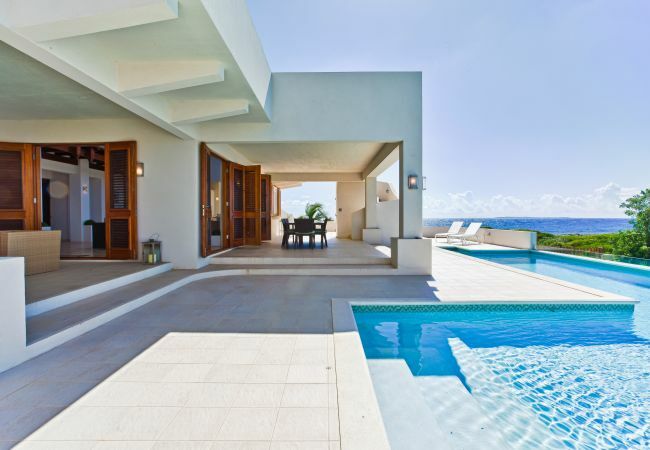 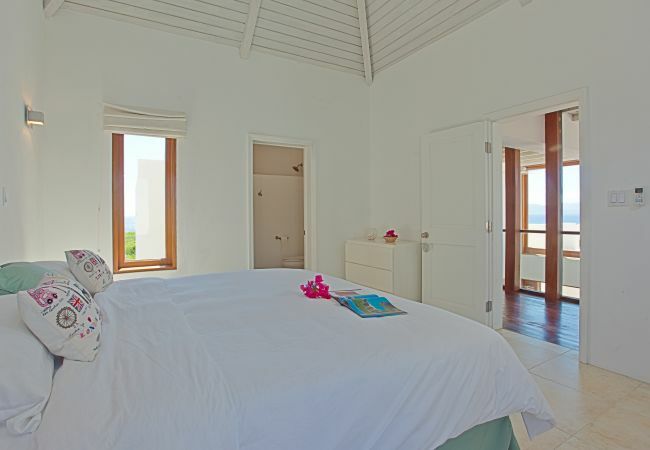 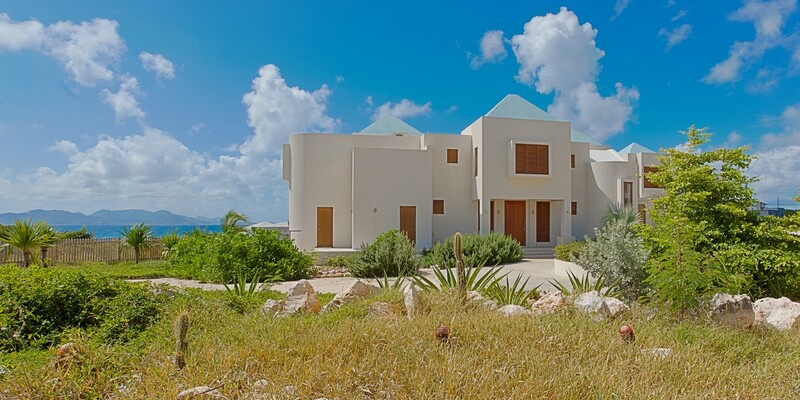 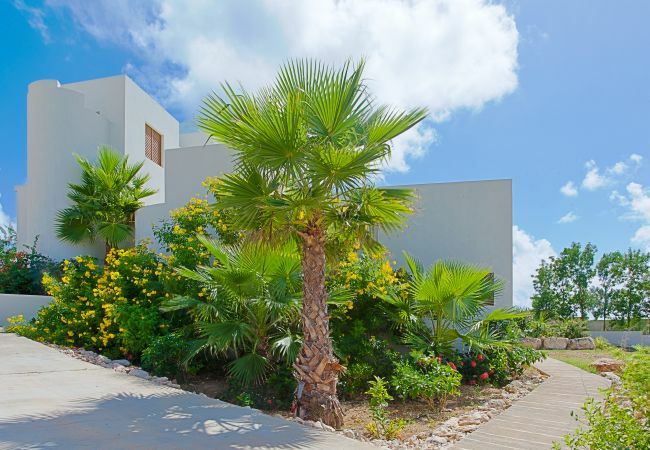 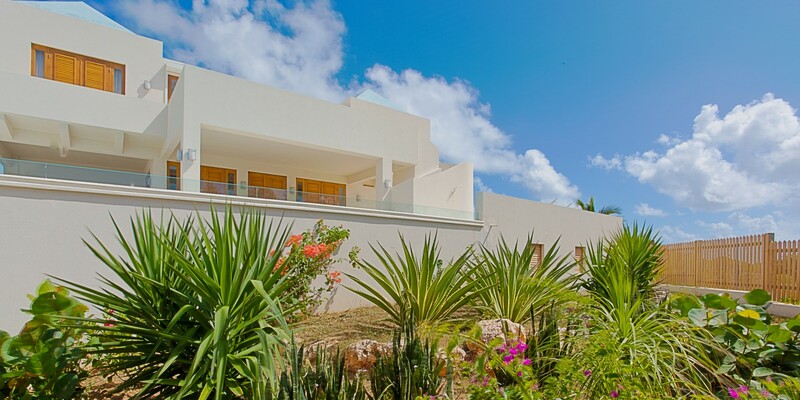 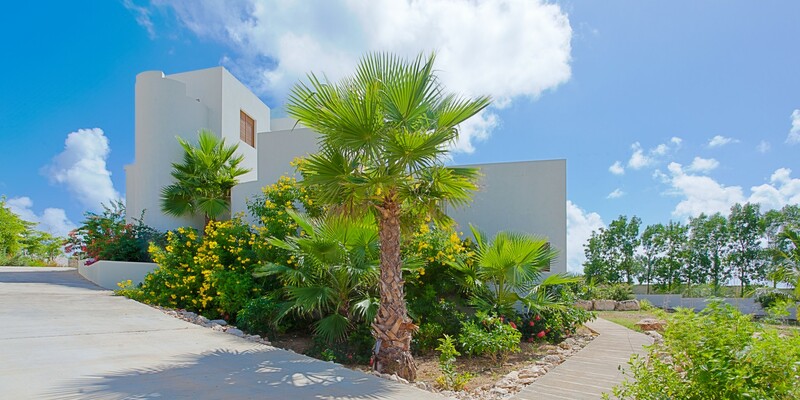 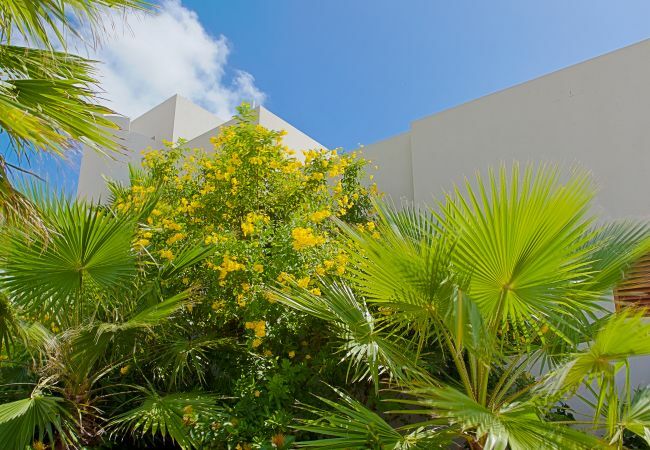 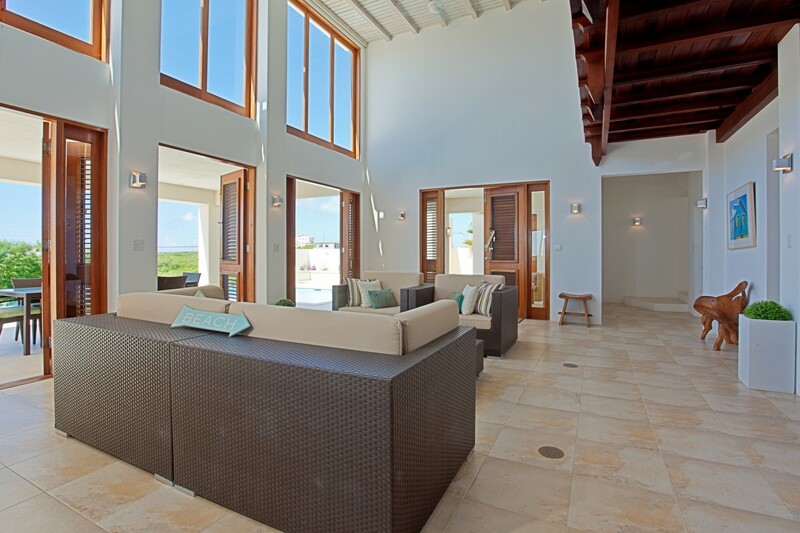 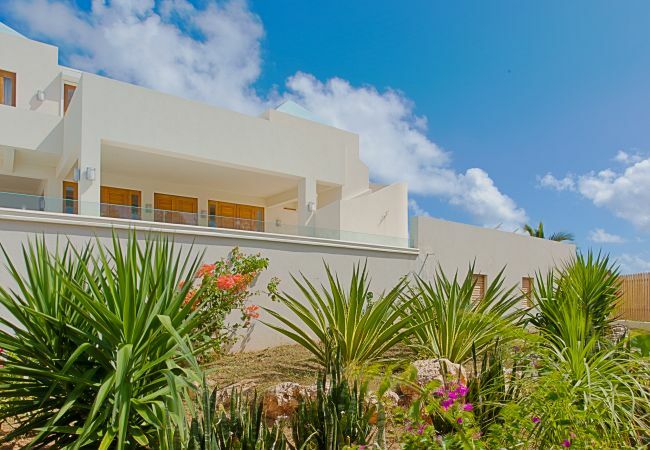 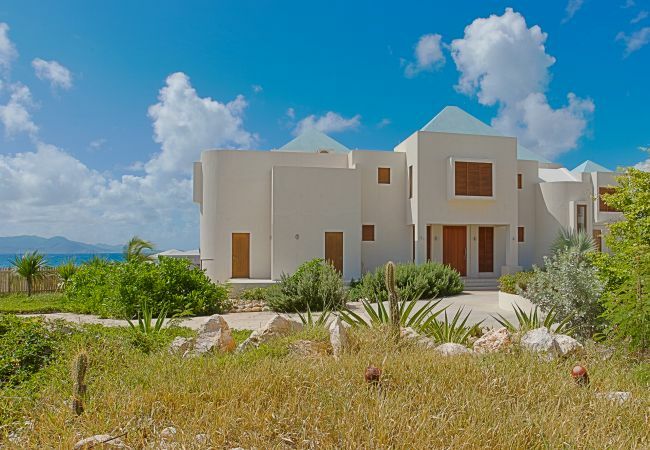 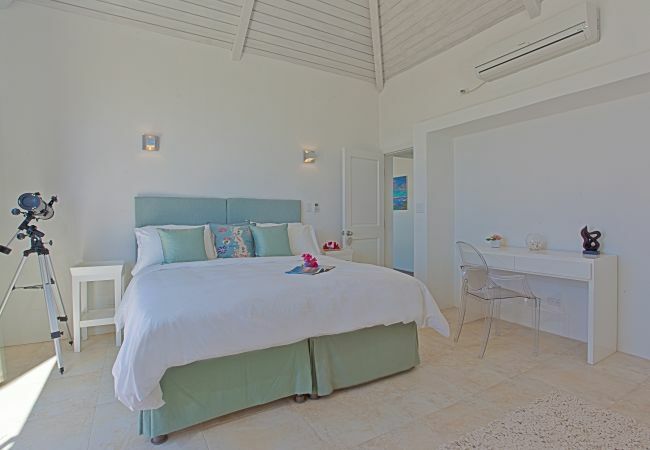 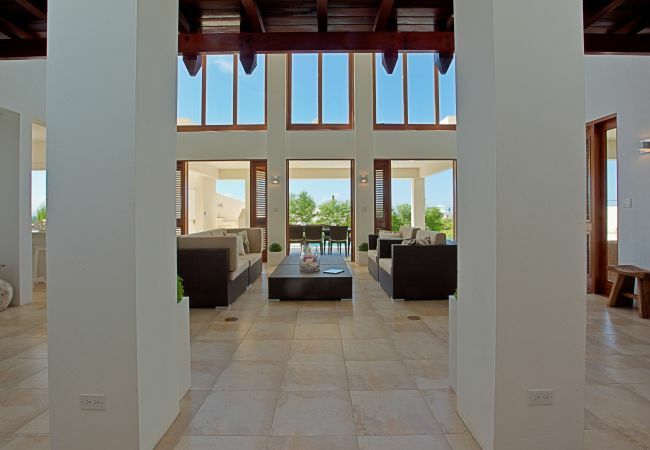 White Cedars Villa was completed in 2011 and has been built and carefully designed by its British owners to create a simple and calming space for a relaxing holiday. 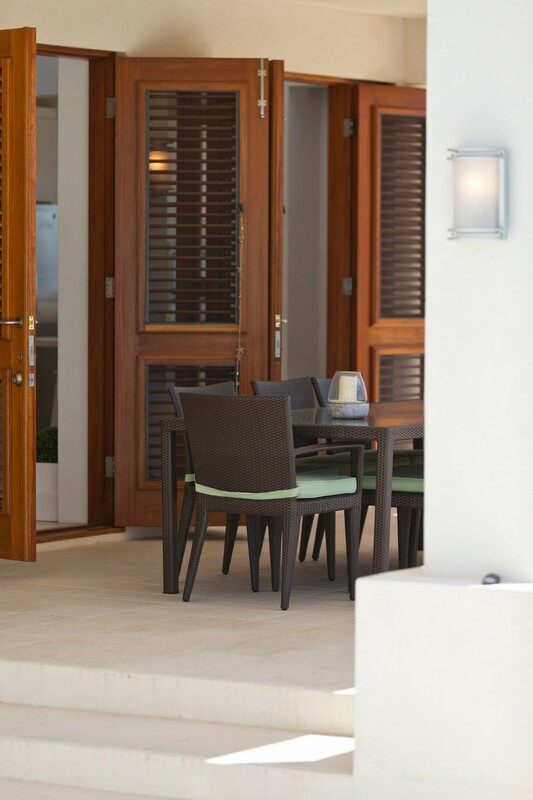 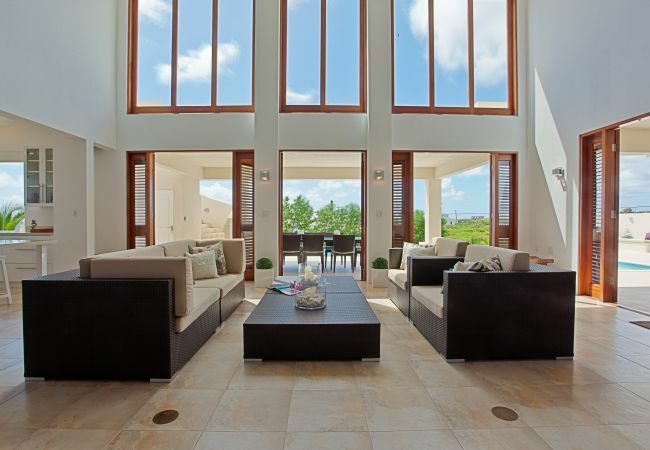 From every vantage point, White Cedars’ unique design provides breathtaking views of the Caribbean, the islands of St. Martin, St. Barth’s, Saba & St. Kitts, while capturing the prevailing tropical trade winds of this undiscovered paradise. 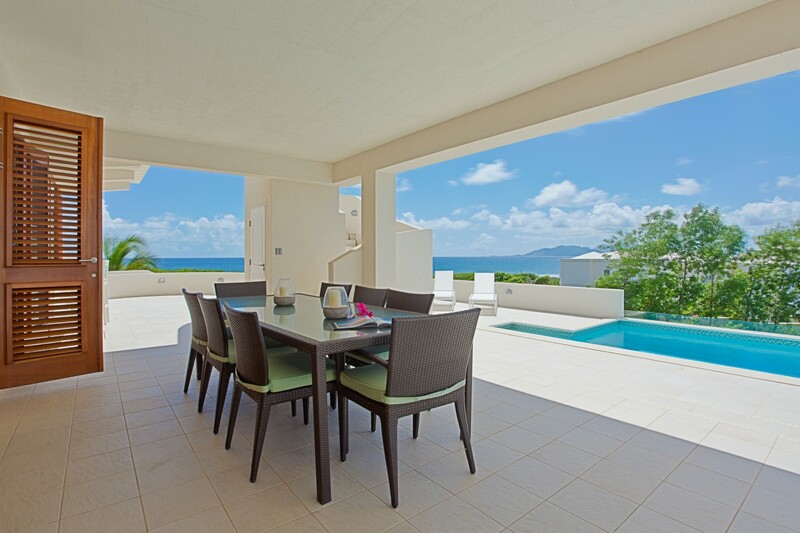 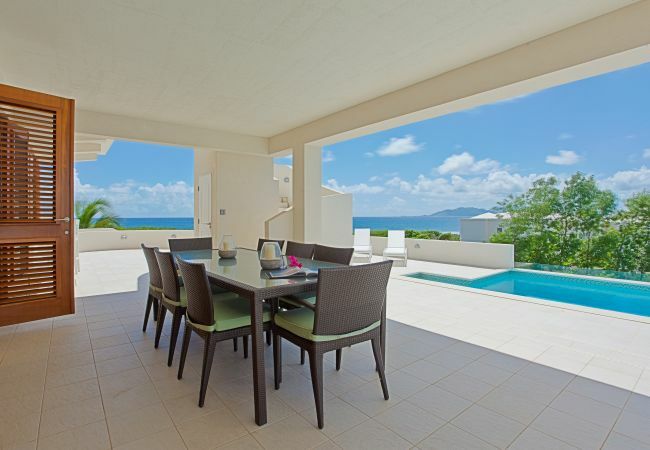 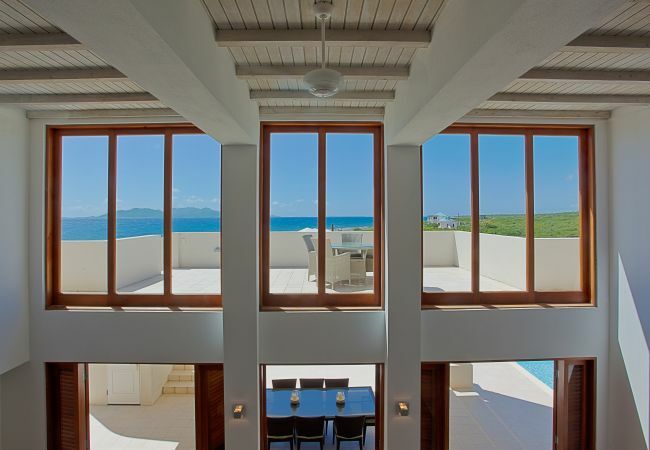 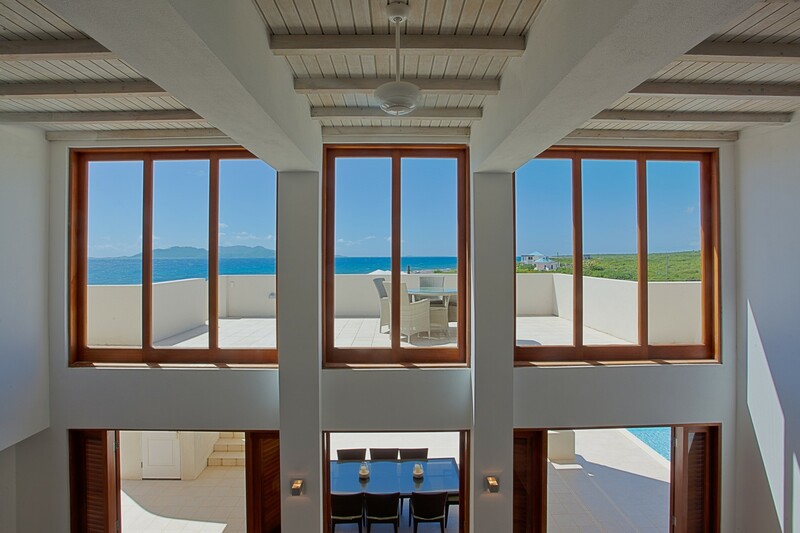 overlooking the pool with a view to the neighboring islands. 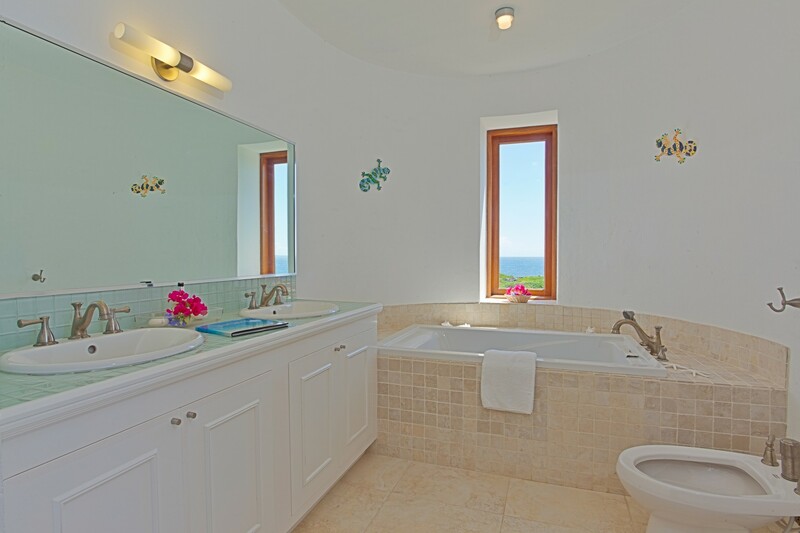 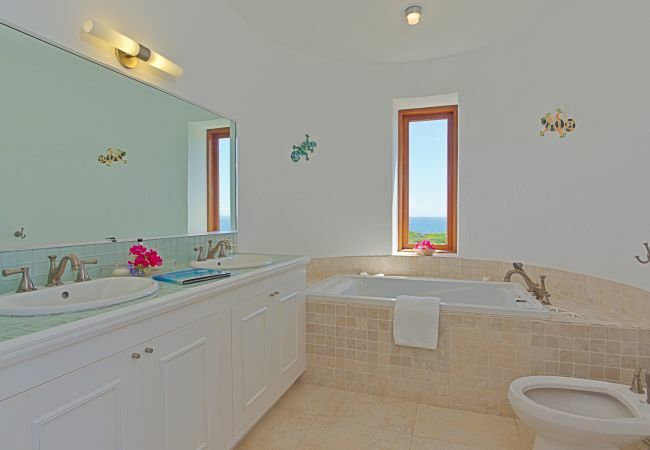 They also have ensuite bathrooms including two outdoor showers. 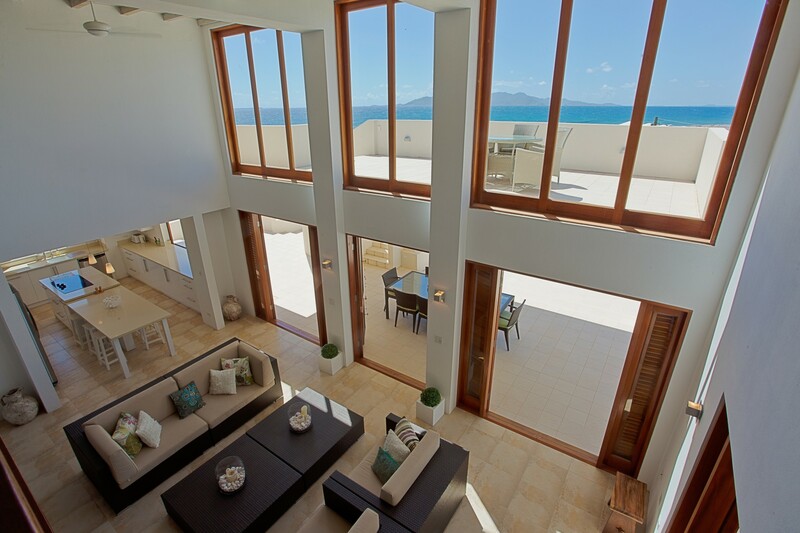 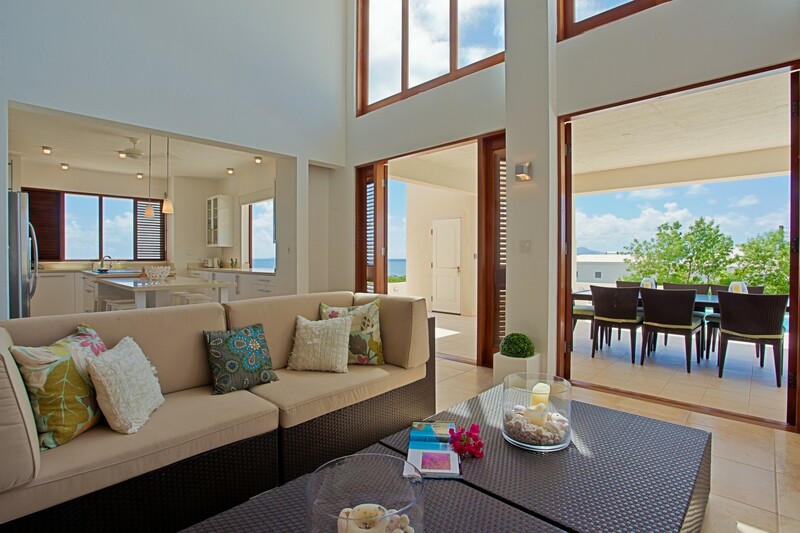 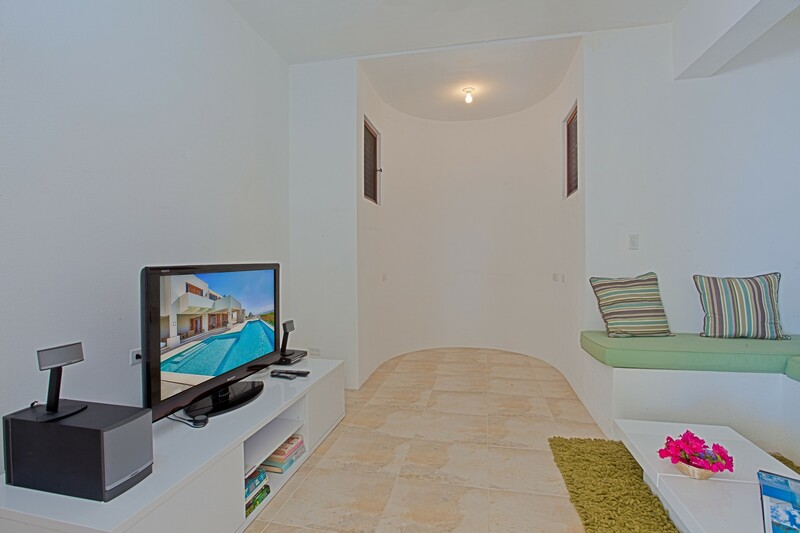 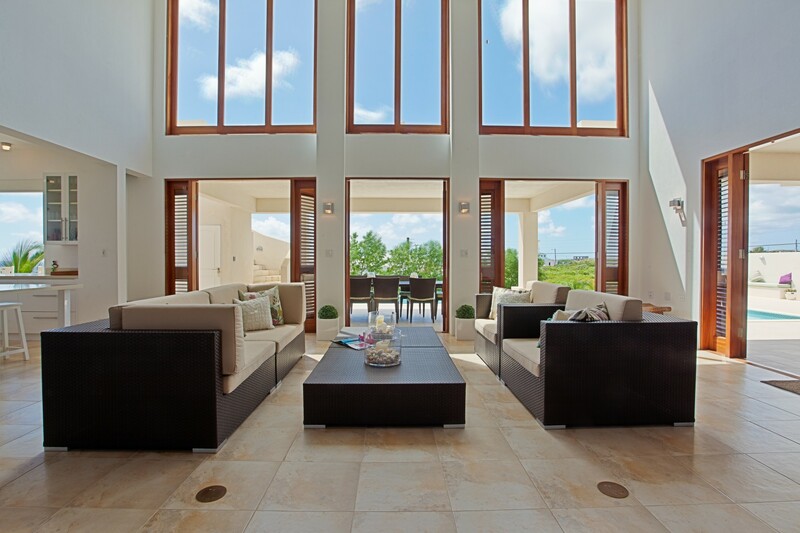 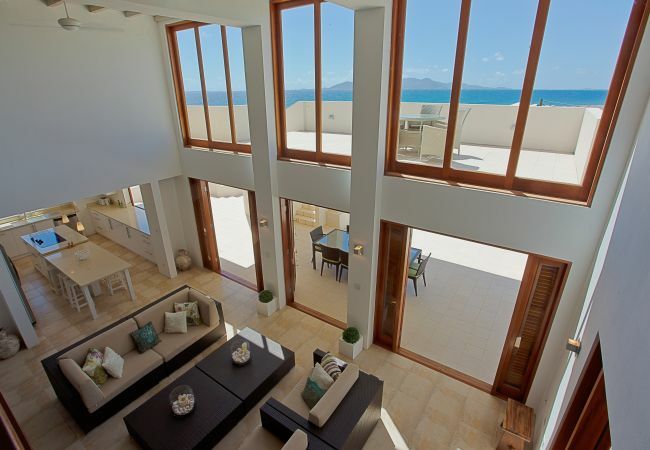 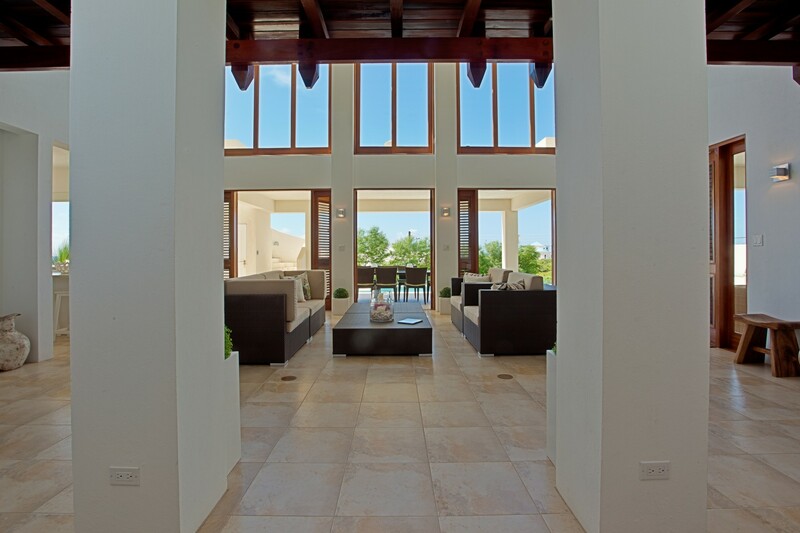 There are two living areas – inside featuring a double height ceiling with fans and outside adjacent to the dining area and TV and computer room. 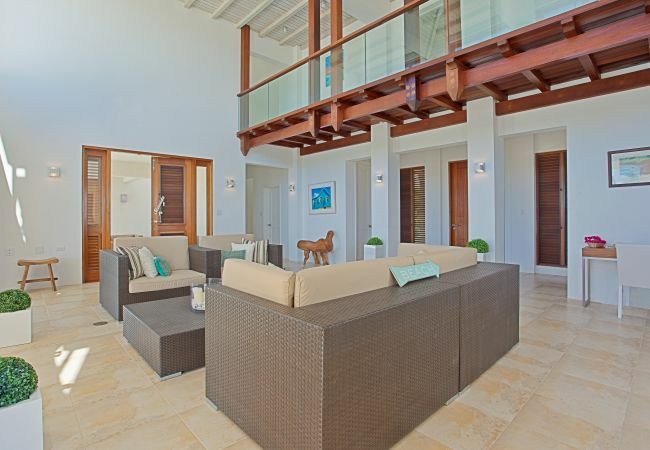 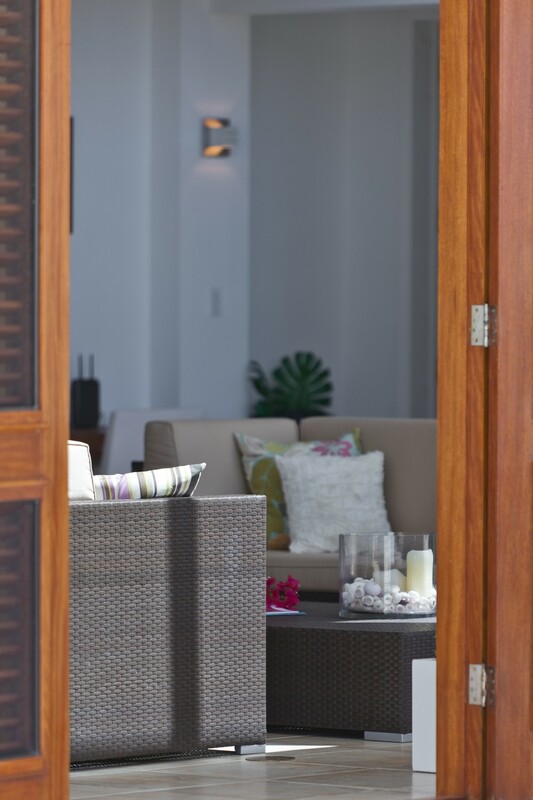 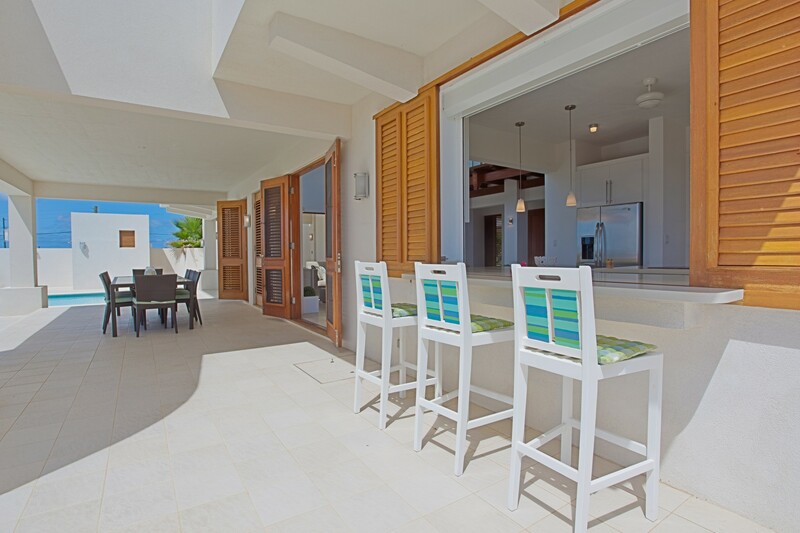 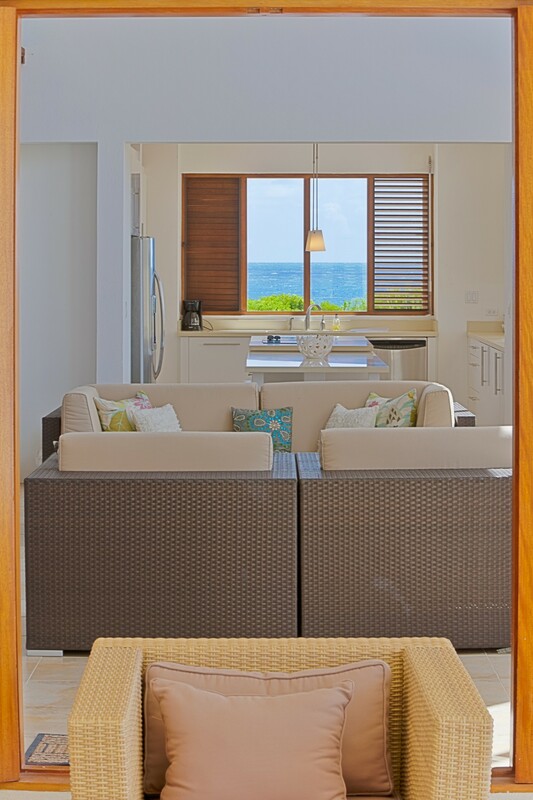 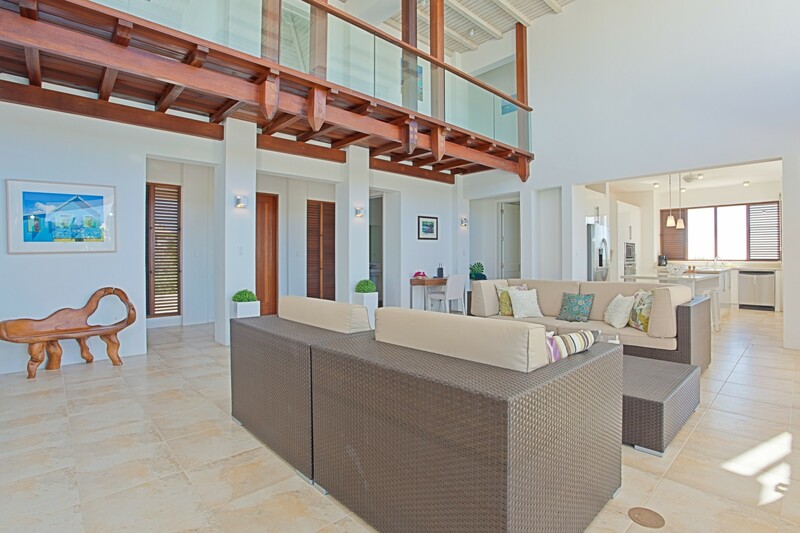 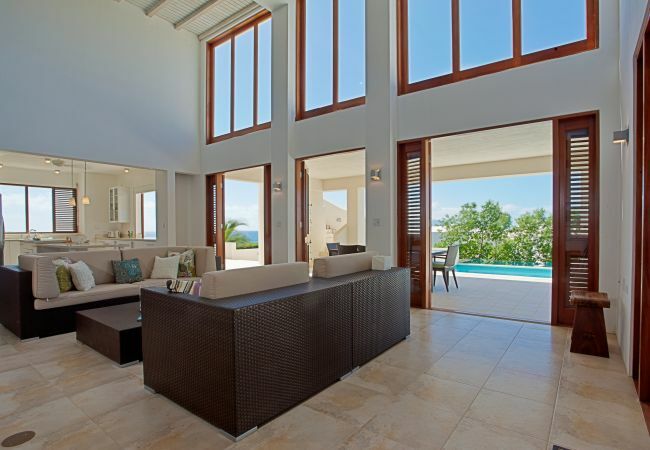 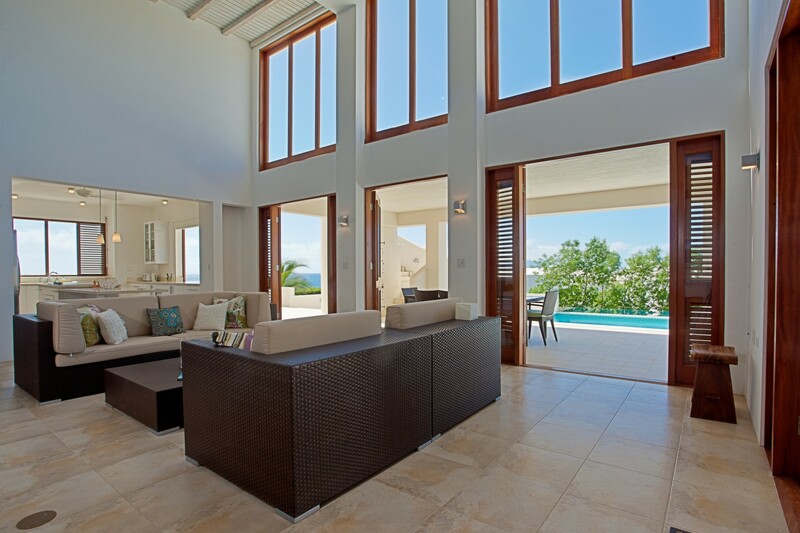 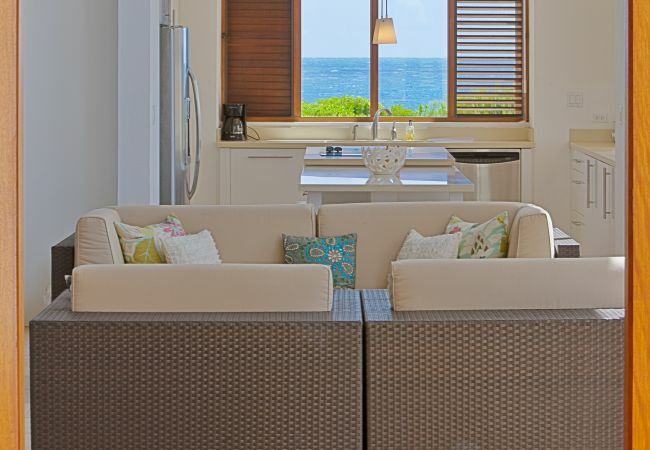 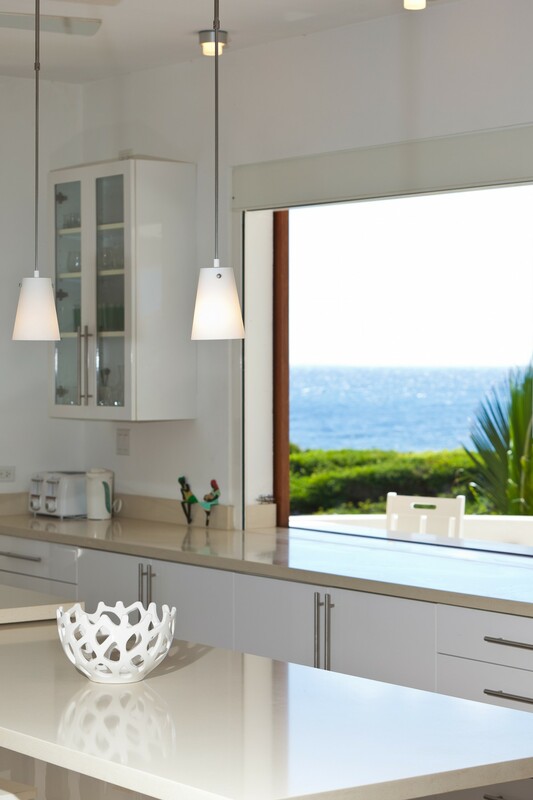 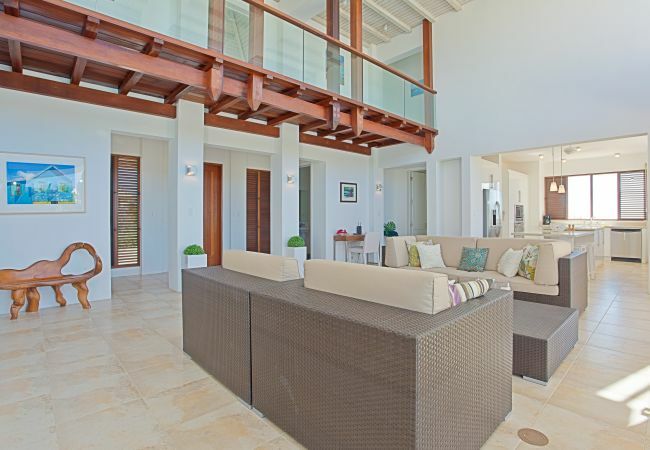 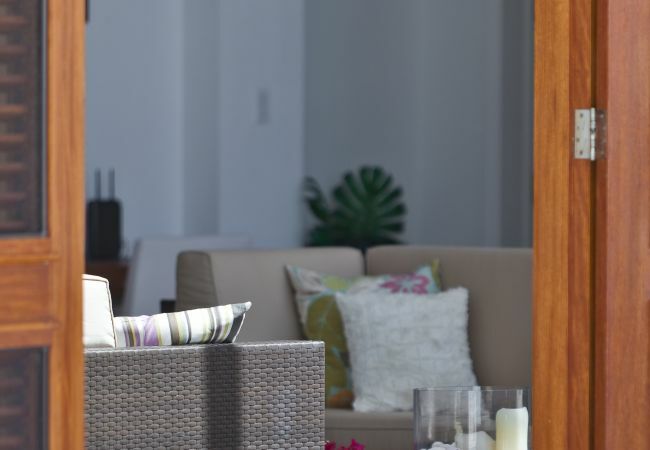 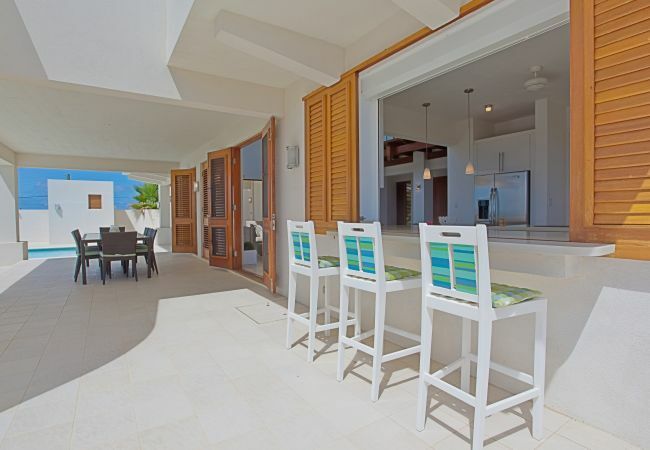 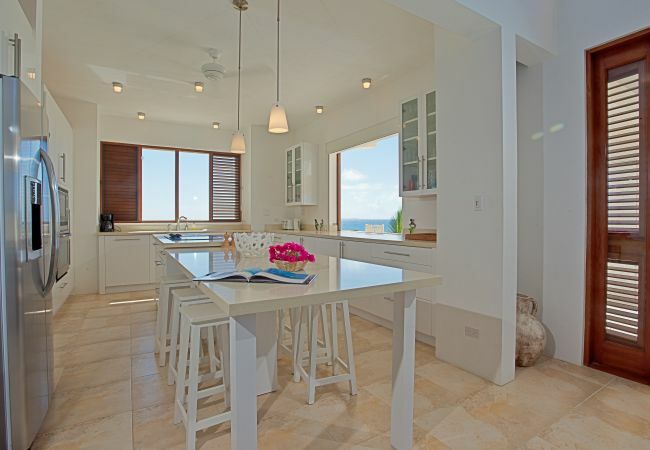 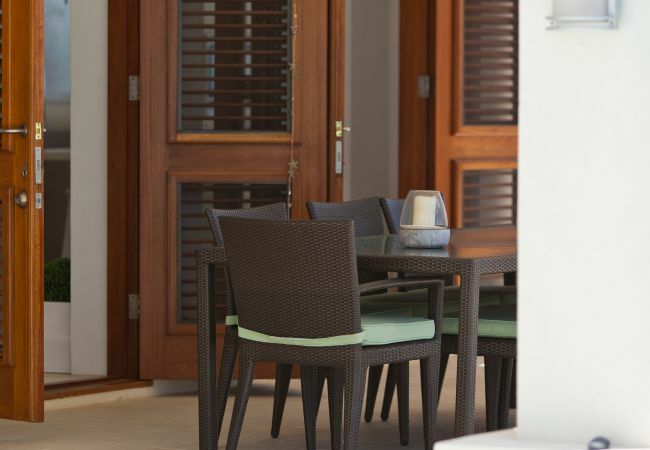 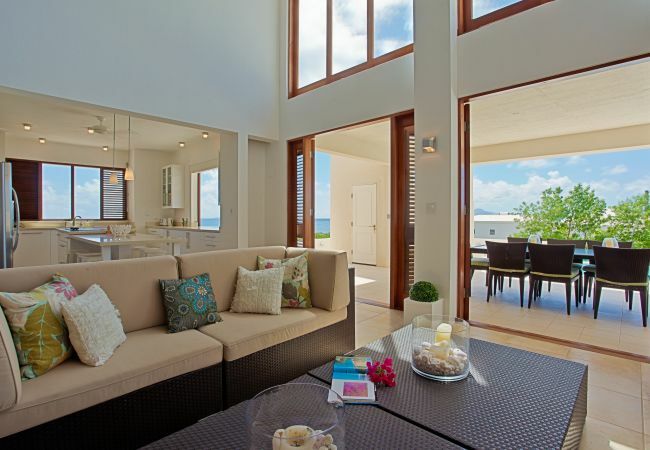 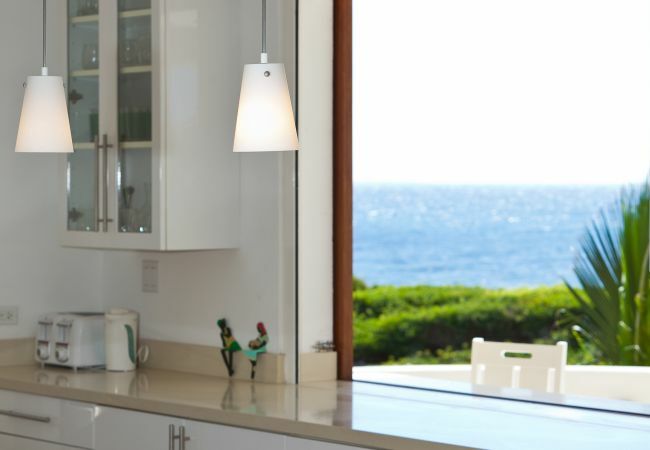 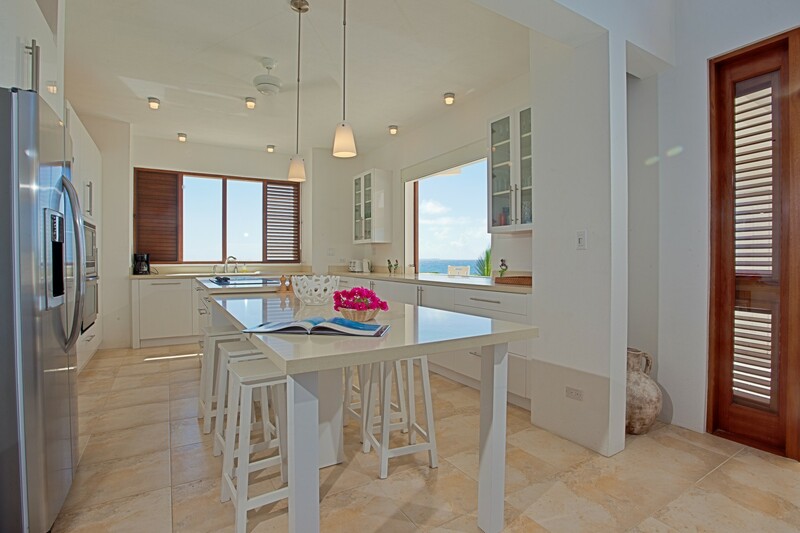 A fully equipped modern kitchen with American appliances allows the guests to do as much cooking or as little as they wish whilst others can simply sit by the outside bar and enjoy the breathtaking tropical sunset. 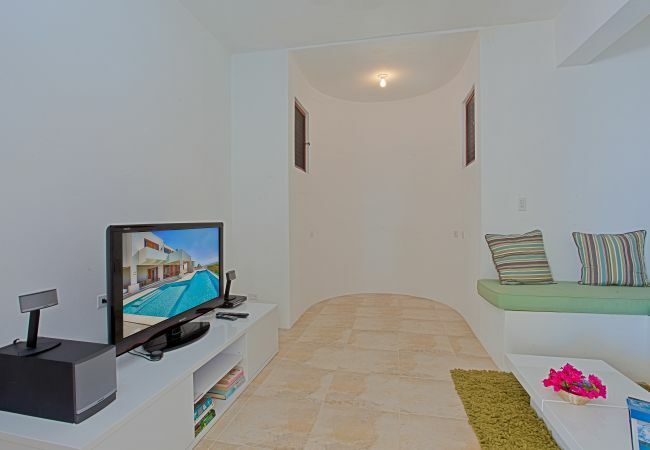 - TV, TV Satellite (Languages: English), Stereo, DVD, iron, hair dryer, air-conditioned, private swimming pool, Open-air parking.